As Toronto is getting ready to change OMB, we hear of a story of mini-revolt against planning from brothers who failed to obtain proper permits for their newly-built house (tst-permit). First, they started building a four-bedroom house without a permit. But what two brothers ended up building wasn’t the single-family home they’d promised — it was a 21-room student residence, also without a permit. Now the building sits empty because the City of Toronto refuses to let anyone occupy it. And last week a court ruled against the brothers, who wanted a permit for the now-completed building. For five years, Steve and Luke Williamson have been embroiled in a dispute with the city over the construction on Victoria Park Ave. near Finch Ave.
“It’s a witch hunt,” said Steve Williamson, who admits he made a mistake but doesn’t feel the city is helping reach a resolution. “They built without a permit,” said Tim Carre, a lawyer for the city. “Then once they got a permit they did not build within accordance of that permit. They’ve had people in the building occupying it in a manner that was contrary to the building code, contrary to the fire code. Williamson said he has become disillusioned by the slow pace of the permit and inspection process. On Oct. 3, an Ontario Superior Court judge dismissed an appeal brought by the Williamsons after the city denied their attempt to get a retroactive permit for the already completed 21-room building. In June 2011, the Williamsons applied for a permit to build a four-bedroom home on Victoria Park Ave. just south of Finch Ave. E., on a property owned by Luke Williamson. Approval for the permit was withheld because of some minor problems with the planned height and length of the house. The Williamsons began construction anyway, ignoring two municipal orders in October 2011 to stop work. In June 2012, an Ontario Superior Court judge ordered the building to be demolished, but then stayed his order to give the Williamsons another chance to get their original building permit approved. 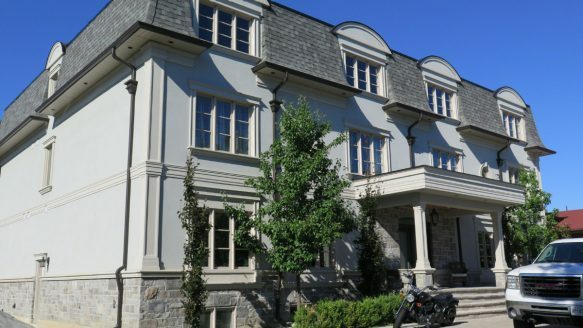 In June 2013, after a failed application and a successful appeal, Williamsons were granted their permit for a two-storey, single-family residence with four bedrooms. But when city officials tried to inspect the property a short time later, they were denied access. Subsequent inspections found that the property was already in use as a rental property. In October 2015 a judge decided that the building could not be occupied until more inspections were conducted and changes were made to make the building into what its permit called for. In November 2015, the Williamsons applied for a permit for the building that now exists — a 21-room building. That application was rejected in June 2016 and the Williamson appealed, leading to the Oct. 3 denial of that appeal. Steve Williamson told the Star that when he and his brother filed their first permit application in 2011, they intended to build a four-bedroom family home, as promised. But then, Williamson said, he was approached by local high schools who said they had international students in need of housing and wondered if the brothers were building rental properties. “So I was like, ‘You know what? I could make some more bedrooms,’ ” said Williamson. The city said students from the nearby William Academy private school were found living in the Williamson’s building in 2015. A spokesman for the school said it was the Williamsons who approached them about renting rooms to students. Williamson said he still believes there is a need for student rentals in the community and that most such residences fail to comply with the building code. Carre said the city has gotten a court order to stop the Williamsons’ property from being occupied until it is brought into compliance with building code. That means the Williamsons can either alter the building to fit their four-bedroom family residence permit, which is still valid, or they can try to have the property zoning changed. Williamson said he is not sure which avenue he will take, but that either one would be prohibitively expensive. Meanwhile, a city planning conference (CityAge) got “experts” together in a “panel” with the stated purpose to advise the city (urbanto-omb). At last week's CityAge conference, a diverse panel of experts and decision-makers had some critical words for Toronto's city planning department during a lively discussion focusing on recent large-scale land developments in the downtown area. Entitled "Catalyst Projects: City-Building at Scale", the panel consisted of Derek Goring, Great Gulf Vice President of Development; Adam Vaughan, Spadina-Fort York MP; Gail Lord, Co-President of Lord Cultural Resources; and Harold Madi, Senior Principal and Urban Places Lead at Stantec. Katia Rmitrieva, real estate reporter at Bloomberg News, chaired the panel. The conversation revolved around the relationship of the public and private sectors in Toronto, particularly with regards to large-scale projects such as the Unilever site, CityPlace, and Liberty Village. With a lively debate that needed little intervention from the moderator, some harsh comments about the shortcomings of the planning process exposed some critical issues facing Toronto today. Gail Lord kicked off the heavy-hitting criticisms, claiming that we are not focusing enough on the ground level in the design of our buildings. Our streets and public spaces are where life occurs, and what happens in the towers above that, she stated, isn't all that important. A lack of diversity in available spaces and a low quality of the public realm at street level segregates the public, so "people who want to start their own businesses or shops, the lifeblood of the city, are being priced out of rental, and it’s a serious problem". At the forefront of the discussion was the lack of community involvement in Toronto's decision-making process. "It’s not a public sector-private sector conversation, it’s a three-legged stool between the community, the government, and the private sector," Adam Vaughan explained, "and when you bring the lived experience to the table you get these values that we talked about on street level". Citing the highly successful St. Lawrence Market development from the 1980s, Vaughan lamented that, "the City has forgotten how it did that, the City has forgotten why it did that, and the City has forgotten how much it can learn from that project". The St. Lawrence neighbourhood sprouted up on a brownfield site in the 1980s and 90s, and received international acclaim for its mix of social housing and condo units, its integration of office and retail, and its abundance of public space. Harold Madi pointed out that there have been some successful redevelopment projects in recent years, citing Regent Park, Alexandra Park, and the West Don Lands as a few good examples. He agreed that community involvement is necessary—something that these developments all have in common—but also added heritage preservation as an important part of the process as well. "There are businesses that have been drawn to former spaces, often in [adaptive reuse] buildings, and now we’re trying to knock them down," Madi explained. "There is value in heritage preservation that moves beyond the façade, because these spaces can’t be rebuilt". The unique lofty spaces of many historic buildings are often ignored by many developments, and to pull a page from Jane Jacobs, they provide affordable spaces for start-up businesses that make neighbourhoods more accessible to all. The Unilever site came up as one of the great potential developments for the city. Goring highlighted that as the developers on the project, they are working very closely with the City and the Province to ensure its success, as everyone involved shares common goals for the land's development. However, Vaughan warned not to make the area solely for employment lands, stressing that mixed use is necessary for a successful neighbourhood. Lord added that, "You have to look beyond 'mixed use' to what is the real use, what is a meaningful use. We have to ask what creativity can we have here… we have to have a clearer vision". "Let's not forget about the OMB," Madi piped in. He criticized the improper use of the provincial appeals body as a scapegoat for deferral by local politicians afraid of taking responsibility for tough decisions, claiming it instills fear about doing the right thing. "The reason why Unilever is emerging as a single-use development," he added, "is because of the fear of introducing other uses". Zoning by-laws were heavily criticized during the discussion by all panel members, who claimed that the segregation of uses was an antiquated system that hindered the development of complete neighbourhoods. In some cases it is still relevant, such as separating heavy industrial and residential areas, but in many situations like the Unilever site, which is zoned only as employment lands, it is counterintuitive to healthy city building. "One of the big problems...is that there are very few councillors elected to City Council who are elected there with a focus on land use management. We’ve got folks who are elected there because they want to cut taxes, folks elected because they want to protect unions, folks elected because they want to get into politics, but the only real power that City Hall has is to manage land, and it has an incredible capacity to create wealth that it can then reinvest in itself by managing land properly. And most of the financial problems of the City of Toronto are directly a result of terrible land use management policies. We spend a fortune on policing because we create inhumane neighbourhoods, we spend a fortune on transit because we think that if we throw a transit line out in a greenfield that it will attract developers...it’s never worked. So if we continue to elect people to City Hall because they’re going to cut your taxes, or they're going to protect irrelevant services, then they’re not going to focus on building good, strong neighbourhoods, and you’re going to get a City Council that is lost." Things are quite different in Vancouver, where vacancy rates have yet to be moved by the tax on foreign buyers, hence closing rental law loopholes is on the menu (tgm-bcrent). British Columbia’s Official Opposition wants the legislature recalled this month to attack legal loopholes that allow landlords to skirt the province’s residential-rent controls. With vacancy rates hovering near zero in major urban markets such as Vancouver, Victoria and Kelowna, NDP Leader John Horgan says the problems facing renters are reaching crisis levels. “Were the legislature sitting today, we could be inside this building talking about the housing crisis in British Columbia,” he told reporters outside the legislature on Tuesday. Deputy Premier Rich Coleman, who is also the minister responsible for Housing, has promised to close a loophole that allows landlords to skirt rent-control rules by pushing tenants to sign fixed-term leases with vacate clauses. Tenants are then offered the option of leaving their units at the end of a year or remaining – after signing a new lease with a rent increase far in excess of the maximum, which is set for 2016 at 2.9 per cent. Mr. Coleman is waiting for ministry staff to propose countermeasures to put an end to the tactic, which has been used to boost rents by as much as 30 per cent. It is not clear if legislators must be sitting for the government to take action. Mr. Horgan said the issue should be debated in the legislature this fall, but the scheduled session has been abandoned and the government says it does not intend to recall the legislature until next February, just ahead of the 2017 provincial election. Mr. Horgan said an NDP government would commit to a legislative calendar that includes both a spring and fall session. Concerns about the rental lease loophole have been charted by housing advocates across the province. Paul LaGace of the Kitimat Housing Resource Project says he has been raising the alarm for the past two years in his community. “It’s not an isolated situation,” Mr. LaGace said. His organization estimates that 80 per cent of the town’s 1,300 rental units are offered only with fixed-term leases, leaving few alternatives. He said some landlords are bypassing the province’s rent-control rules, which allow for one rent increase every 12 months, by negotiating new terms under the threat of being forced to vacate. He said seniors and people with disabilities are the first to be squeezed out when they can’t meet the escalating rent, and his organization has brought a complaint to the provincial Residential Tenancy Branch for adjudication. Mr. Coleman has said he does not have enough data to determine if the problem is widespread, but Mr. Horgan said it is something the province should have been tracking before now. 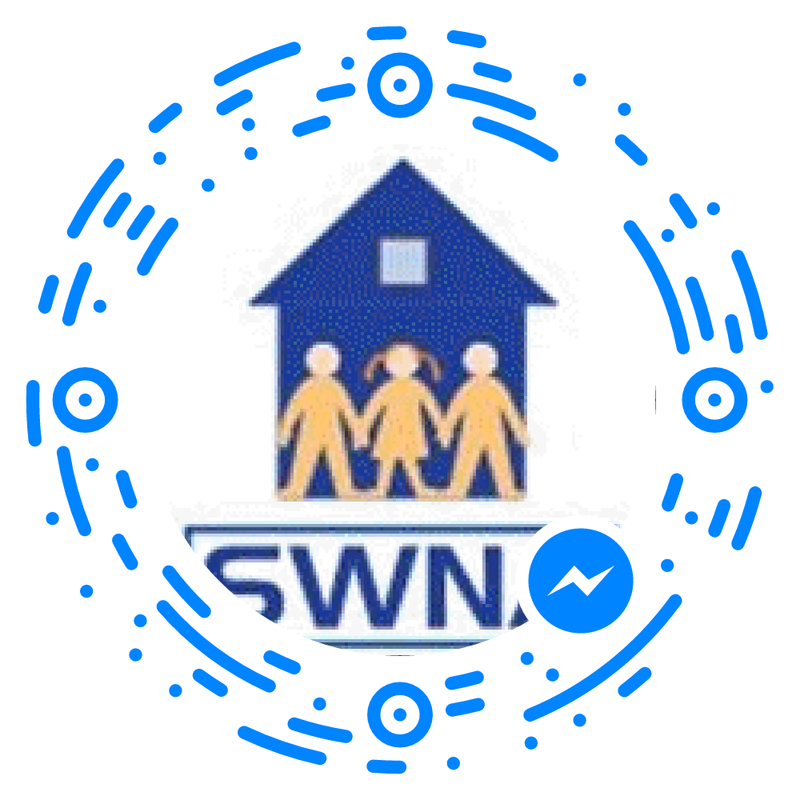 “Tenancy advocates have been talking about this for over a decade as a challenge. It’s become acute now with zero vacancy rates in large urban centres, but we’ve known for some time it’s a problem,” he said. He suggested the Housing Minister, who is also responsible for developing a liquefied natural gas industry, has not spent enough energy on minding the housing portfolio. “Mr. Coleman’s fixation with LNG at the expense of addressing issues for renters is, I think, the problem,” Mr. Horgan said. This should help low income dwellers, whom are featured in two articles at CBC; the first introduces the shareholder (USA, UK) model of capitalism vs stakeholder (Europe) via minimum wage (cbc-minw). Keyur Morthana is no lazy millennial. The 25-year-old lives and works in one of Canada's most expensive cities and earns minimum wage, which in Ontario recently rose to $11.40 an hour. While many businesses complain that moves to raise wages for Canada's poorest paid will mean higher prices and fewer jobs, a new report by business leaders proposing a better kind of capitalism says low wages are an expense Canada cannot afford. On a busy shopping street, beside a giant poster advertising submarine sandwiches at $4 each is a smaller one that says "Now Hiring." But the pay is well below the rich city's median income of about $78,000 a year. On the day I talk to Morthana the Toronto Real Estate board has just announced that the price of a detached house went up 23 per cent in the city to an average of $1.29 million. The average price of houses of all kinds is now $756,000. "I can get by because I work seven days a week," says Morthana, who shares an apartment with friends in a distant suburb and commutes to work. "Sometimes it's hard." A few doors down the street, a sign in the window of one of a number of waxing and nail salons offers a "dream career." According to the manager, The Ten Spot, part of a Toronto-based Canadian chain, is a cut above the average nail shop. The pay is $12.50 for counter clerks, rising to $13.50 with experience. In Canada, setting the minimum wage is the responsibility of the provinces, so the rate varies, from a high of $13 in Nunavut to a low of $10.50 in Newfoundland and Labrador. 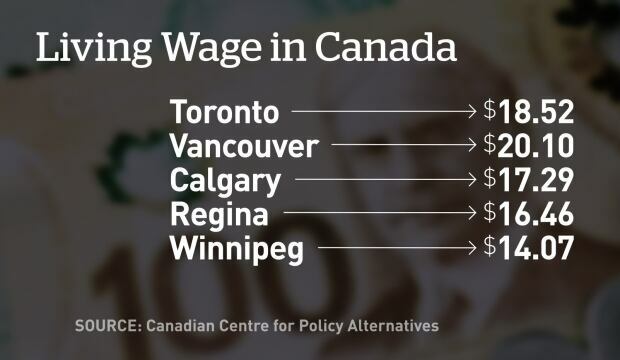 But higher or lower, minimum-wage earners remain far below levels considered a Canadian living wage, and nowhere are the extremes of wealth versus cost of living worse than in Canada's expensive cities. And according to a new analysis by a group of sophisticated business leaders, that's bad for the bottom line. Dezso Horvath, dean of York University's Schulich School of Business, says their research shows that the world's most dynamic countries are ones, especially those in northern Europe, that have adopted a "stakeholder" approach to capitalism. "The countries using this form of capitalism are becoming more globally competitive," says Horvath, who edited the book with Dominic Barton, global managing partner of consulting firm McKinsey & Company. With articles contributed by well-known business leaders, the book is intended to acknowledge and address what the authors call "a growing public distrust of capitalism and its ability to improve wealth and well-being for the many." "Whichever direction capitalism ends up taking, it is increasingly apparent that the narrow shareholder model is being gradually eclipsed by a model that is more closely attuned to the complexity and diversity of the world we live in — a model that is more stakeholder-oriented and more guided by principles of long-term value creation and sustainability," says the book in a concluding chapter written by Horvath and Barton. Horvath says one of the key ingredients of the system is a smaller gap between the rich and the poor. He says inequality has been largely responsible for the anger that caused the Brexit vote in the U.K. and the rise of Donald Trump in the United States. "If you look at the U.S. and Britain, they are the [rich world] countries with the largest educational and income inequalities," says Horvath. "Whereas Sweden, Switzerland and all those, there are no really poor people but neither are there billionaires of really large scale." Horvath says there are signs that's paying off. Economic growth in Sweden is at an astounding 3.5 per cent, higher than any other country but China, he says. More equal countries are also winners in innovation. "Yes, the U.S. is very innovative, but if you take away all the money that is going to military research, the U.S. is actually not as good," says Horvath. He says not only is a stakeholder-driven economy more competitive, it also generates a much higher level of quality of life — something quite different from working seven days a week at minimum wage. "Canada, at the moment, is somewhere in between the United States and the well-developed European nations," says Horvath. "Minimum wage is much higher [in those European countries] and everybody is reasonably well paid, but as I said, the difference between minimum wage and the highest wage is much more limited." As usual with great theoretical analysis, the hard part is making the transition. We can't snap our fingers and turn Canada into Switzerland or Sweden. But what the new book's analysis shows is that keeping minimum wages low and letting the rich get very rich is not a necessity for business success. In fact, says Horvath, quite the opposite. "A large middle class is the engine of economic development." Maybe one day we’ll coalesce the above into an essay.